In Central Texas everybody is familiar with Austin allergy symptoms. Families learn to recognize and treat allergies early, but often the overwhelming symptoms find us unprepared and wondering what to do next. Planning ahead is the key and I’ve offered some case-scenarios that may fit the situation in your particular case. What can your Pediatrician do to help fight Austin allergy symptoms? A 6 month-old baby who suffered RSV (Respiratory Syncytial Virus) infection during the winter. He required the nebulizer Albuterol for a few days. He had one more episode of cough, one month ago and was treated with Albuterol for just one day. He is now coughing again, has a runny nose and some difficulty eating and sleeping. The whole family suffers from allergies at this time of the year. His older sister had asthma as an infant. Babies this young with any respiratory symptoms need to be seen in the office to listen to the chest and evaluate the need for Albuterol treatments, especially since there is a recent history of RSV and a family history of asthma and allergies. It would be fine for parents to administer Albuterol treatment at home overnight if needed, before bringing him in. At this early age, secondary bacterial infection often happens and may be the cause of the child not getting better. If the child has difficulty breathing at any time, take the baby to the ER or call 911. A 7 year-old boy has a known history of allergies during the spring. This time over-the-counter medications are not working. 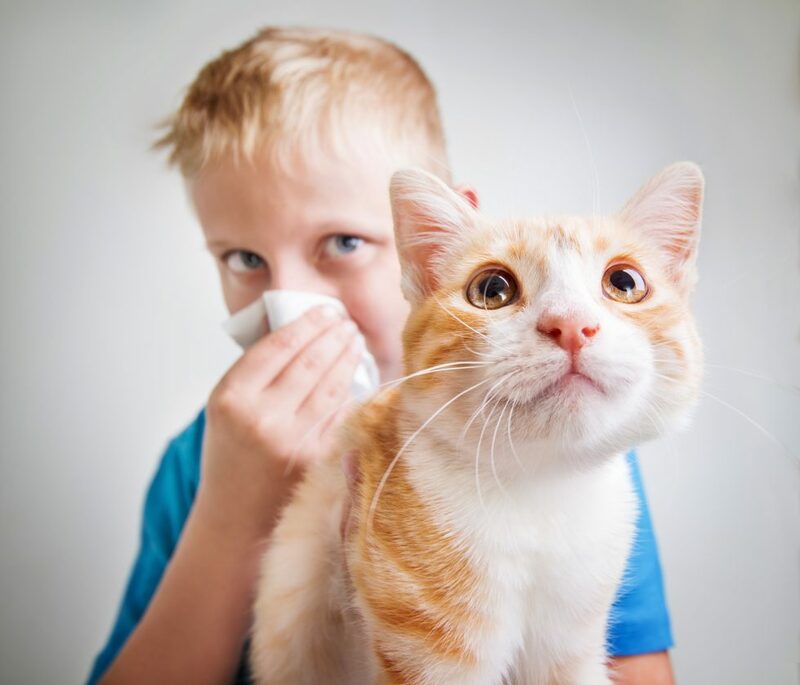 Families are very aware of what is available to treat allergies and we have a few choices of over-the-counter medications that work well for environmental allergies. But we must use them at the right dose; in this case we also need to discuss the combination of medication and prescription options. The goal is to increase comfort, avoid asthma attacks and prevent secondary sinusitis or other bacterial infections. We can help with that. A 10 year-old girl has persistent asthma. She has been using preventive steroid treatments for years and has been doing well. Her parents want to know when to stop the steroids and if there are any other treatments options during allergy season. You definitely want to consult your pediatrician or allergist before stopping the preventive medication. We can help you decide when is the best time of the year to try to get off steroids and if there is a step-down option. We also need to review allergy symptoms at different times of the year to formulate a plan for the coming months. Spring-time may not be the ideal season to try to quit allergy medication. Case #4: Is it allergies or something else? A 6 year-old has recurrent runny nose, congestion and sinus infections. His symptoms don’t follow the allergy season that seems to affect the rest of the family and the response to medication is erratic and inconsistent. Parents question whether his symptoms are due to allergies. Is something wrong with his immune system? We can order a RAST test for allergies (Radioallergosorbent test), a total IgE and a complete blood count. RAST is a blood test that can provide some clarity as it tests for common allergens in Texas. Allergists also perform skin tests, but the RAST test would give us some idea of the direction to go and help confirm or deny what we suspect is causing the problem. Knowing what we are allergic to doesn’t help much if we are unable to remove the offending agent from the environment, but the tests can give us a “heads-up” as to what time of year those allergens are present and help us decide what seasons we need to be more aggressive with allergy medication. Having a plan helps. A 5 year old with intermittent asthma symptoms is suspected of having food allergies. He develops some skin rashes when he eats nuts and tomatoes, parents observed. His asthma symptoms are sporadic and parents don’t see correlation with food, but they are afraid the food allergies, if present, could possibly trigger difficulty breathing. Your pediatrician can certainly order a RAST blood test for food allergens, which can help determine the next steps. Those next steps may include visiting the allergist for skin testing and a prescription for EpiPen, with instructions on how to use it, until the correct diagnosis and treatment plan is formulated. The number of case scenarios can go on forever, and the advice given for each case should be individualized and personalized to the child’s age and background. I hope these few ideas are helpful. Check out this helpful Austin allergy guide that we’ve created to help your children suffer less from seasonal allergies.